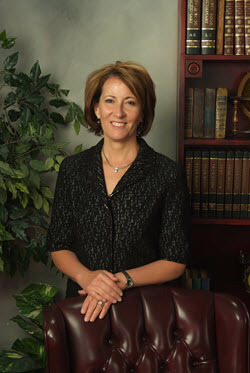 Tami, also President and Chief Executive Officer of TechSmart Energy, has had a successful career as an entrepreneur. TechSmart Energy, founded in 2011, has a mission to help companies upgrade their buildings to compete in a global economy – by becoming more sustainable with energy reduction programs and creating a building platform that allows for change. She has developed and built over 40 energy projects in commercial buildings. Before starting TechSmart, Tami was Principal and Chief Business Development Officer of CI Select. a St. Louis based commercial interior integrator of furniture, flooring and audiovisual systems. She was co-founder of the company and led the company’s growth to $48 million in revenue. Under her leadership, her previous company received numerous awards, including the Greater St. Louis Top 50 Award for fast growth and contributions to the St. Louis community, and the International Facility Management Association (IFMA) Outstanding Company award. Tami received a bachelor’s degree with a double major in Philosophy and Psychology from Hope College in Holland, Michigan. Tami is a native of Michigan and resides in Saint Louis, Missouri with her husband and has two children.